This article unveils the intentionally hidden secret that has caused millions to suffer from heart problems. In 1998, I attended a seminar by a holistic cardiologist that explained how to repair arteries. I listened intently and later, observed for results in the real world. Unfortunately, I did not see the results even though the seminar’s content made sense. Then, in January of 2009 (11 years later! ), a fortuitous series of events occurred that showed the truth. Now for the benefit of many, we are changing lives for the better. Here’s what I learned. First, I need to go over some physiology. Arteries are muscular tissue. They flex and contract with the pulsing of blood, so they need to stay strong yet pliable. The arteries that are stressed the most in the whole body are the medium-sized ones that feed the heart muscle. They come right off the aorta which is the large artery that is the exit for all the blood that goes to the body. The reason why they are the most stressed arteries is that the heart NEVER STOPS BEATING. These arteries are constantly being flexed by this action. If they are not nourished and healthy, they start to get small splits in them like an aging car tire. If these splits are not repaired, then they get packed in with a gummy substance that acts like a plastering agent. This plastering agent is called cholesterol. The artery tissue may also become weak and balloon out. There is some debate about whether or not this is truly the cause of heart attacks. Another theory says that the tiny capillary arteries get diseased and as a group, starve a section of the heart muscle. These capillaries are so small, only one red blood cell can get through it at a time, and they do not get clogged with cholesterol. They get polluted with toxins or become deficient in their essential nutrients so they don’t work as they should. Either theory responds with the solution described below. What I learned in 1998 is the nutritional deficiency that causes the arteries to age and split. It is Vitamin C deficiency. Vitamin C acts like glue to hold tissues together. It keeps the arteries strong, yet pliable. A deficiency of Vitamin C can be seen first as micro-tears in the arteries. These tears become larger and larger, and bleeding becomes more prevalent and profuse. Excessive bleeding is first seen in the jaw and gums because chewing is a harsh action often done. This is scurvy! Sailors often died from scurvy until discovered that limes, oranges, and other citrus fruits prevented it. Limes were good for long sailing trips because they had a long shelf life. Sailors were called “Limeys” because of this. In March of 2009, an old manuscript was uncovered that showed it was a woman who discovered this connection. It was 1707, and her name was Ebbot Michell. As stated above, when there is a deficiency of Vitamin C, the body packs cholesterol into those cracks. It’s like putting toothpaste into a hole in the drywall before painting it. It doesn’t belong there, but “it’ll do” until you fix the problem. This cholesterol patch becomes plaquing, and it builds up, especially when you eat unnatural fats that are “sticky” like margarine, corn oils, and vegetable oils. Natural fats slip right on by without sticking. Animal fats, lard, tallow, butter and dairy products are some examples. This all makes sense, but unfortunately, I didn’t believe it for 11 years!! Why is that? Because I never saw Vitamin C reverse cholesterol plaquing. I saw heart patients take vitamin C but never get better. I saw people continue to have heart problems while on lots of Vitamin C. This was apparently not a solution. Why? The answer came in January of 2008. At that time, I had a young patient who was experiencing irregular heart beats and chest pain after only a few minutes of exercise. He was a vegetarian and ate way too many grains and sugar. I asked him to put his finger where his heart pain occurred. He did so and I muscle tested him. He needed Cyruta, which is a whole-food supplement that works like roto-rooter for arteries. I gave him 8 per day and in two weeks he said he was 60% better! He could exercise for 30 minutes with no pain! We had just nourished and improved his arteries and heart. Here’s why I missed the connection for 11 years: Cyruta is made of the juice taken from the leaf of the buckwheat plant which is the greatest source of Vitamin C. The key is: It is WHOLE FOOD VITAMIN C, not the synthetic version (ascorbic acid). Here’s the catch! Food manufacturers have convinced our government to say that Vitamin C is ascorbic acid. Only it isn’t! This is an intentional misunderstanding of basic science. It has fooled nearly everyone. The truth is ascorbic acid is only a small percentage of the Vitamin C molecule. It is the outer protective layer, like the paint on your car. For 11 years, I saw people taking the synthetic vitamin C (ascorbic acid) which DOES NOT WORK! The whole food vitamin C does work. It repairs arteries (like scurvy) in a matter of a few weeks. It is simple, noticeable and clinically significant. Using the FDA-approved Meridian machine, we have seen the risk for heart problems decrease. When researching Vitamin C on the Internet, be wary of what substance is used for research. It’s all synthetic ascorbic acid, not the real Vitamin C. That’s why research on ascorbic acid is only “promising”, “inconclusive”, “might work” or “controversial”. If they used the whole food vitamin C, there would be no doubt that it works. What is in your vitamins in your kitchen? Is the ascorbic acid label over 10 mg? If so, it’s not the whole vitamin C. It’s hard to find a pure vitamin C product at a health food store. Even the good ones are “enhanced with bioflavonoids” which indicates it’s not pure. 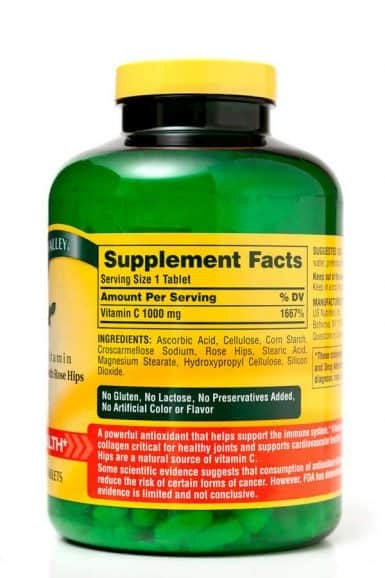 I saw one that said “blended with raw carotenoids” which is a very dishonest way of saying, “We added synthetic vitamins because everyone else is doing it and we don’t know any better.” Otherwise, it would have been a great product. If you look hard it is possible to find a pretty good whole food Vitamin C in a health food store. But…. Do you test for it? Will it work? Only muscle testing can verify that. The medical attempt of cleaning out arteries is to reduce the amount of cholesterol in the blood. It’s like taking away the toothpaste from your bathroom so you cannot temporarily repair the holes in your drywall before painting. That’s not a right fix. If you have adequate vitamin C and healthy arteries, your cholesterol can be 400 (which is considered high) and have no plaquing and no diseased arteries. Also, half of people who have heart attacks have normal cholesterol. We’ve had many people improve the condition of their heart and arteries since we discovered this. One was experiencing knife-stabbing pains through her heart to her back. Cyruta cleaned and repaired her arteries, and she felt the pains less frequently and with less intensity. She was 75% better in just three weeks! Avoid the foods that cause arteries to split, tear and plaque. They are sugar and white flour products and are too commonly consumed. Vitamin C competes with sugar to get into cells, but sugar is heavily favored. In other words, sugar crowds vitamin C away from cells. Eat whole foods rich in Vitamin C. It doesn’t take a lot. A sailor only needed a little lime juice per day! This is a revolutionary, applicable, inexpensive solution for a national scourge. Disclaimer: The nutritional program that is described here does not interfere with any drugs. It can be done concurrently. These statements have not been evaluated by the Food & Drug Administration. These products are not intended to diagnose, treat, cure, or prevent any disease. We now have an Online Patient Program for patients that live too far away to come in to see one of our practitioners. Or if you would like to see us we now offer a Long Distance Nutrition Travel Package if you can spend a couple of days with us to get you going on the right track. Hit the links above or contact our office at [email protected] or 734-302-7575 and ask to get more information on these wonderful programs that will allow you to speak to a practitioner and get the supplements you need to help improve the health of your heart, arteries, and the rest of your body. We look forward to helping you on your journey to optimum health! P.S. 2016 UPDATE. I have discovered two more mechanisms by which cholesterol gets embedded into arterial walls. There’s a condition of too much lactic acid in the blood and not enough oxygen. The body lays down cholesterol inside the arteries to protect them from the acid in the blood. The other is a nanobacterium causing calcification of the arterial wall and plaquing. Cyruta is still a valuable tool for all 3 mechanisms.